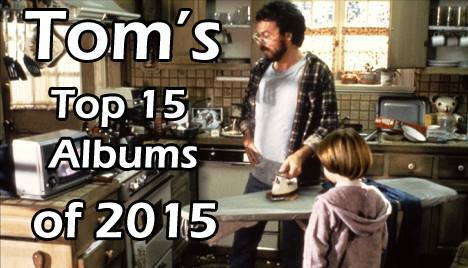 2015 will be a year for the record books in the Campagna household. Why the New York Mets made it to the World Series, I bought a house, and of course my wife and I welcomed out little boy Connor into the world. Aside from those wonderful feats, there was metal to be had in 2015 and it was a damned fine year with so many huge bands putting out great records; listing them is a chore unto itself, but ultimately no one pays me for this so this list is what you make of it honestly. Make sure to check out the albums I did a full review for by clicking the link in the album title and also listen to a selection from each album by clicking the song below each write up. The first thing you might be saying is "who?" But that would mean you would have missed one of the best classically styled metal albums of the year. Visigoth is born of bands like Manilla Road and Cirith Ungol and has a major label (Metal Blade) to back it as well. The Rhythm section is stellar and vocalist Jake Rogers has been a revalation. There can be some truth in advertising and the album art is no exception as are tracks 'Iron Brotherhood', 'Blood Sacrifice' and their cover of Manilla Road's 'Necropolis'. 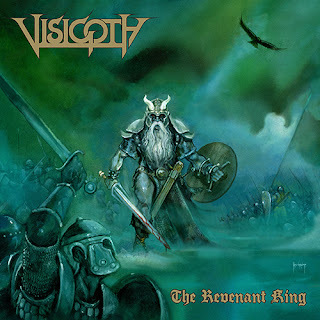 Visigoth dropped a debut that may have gone unnoticed by many but they have my undivided attention as bearers of the flame of old. Who told Savannah, GA collective, Kylesa that they should release the best album of their career in 2015? The band who have been around for nearly 15 years and have 7 albums to their credit truthfully hit a home run with Exhausting Fire. From anthemic rock bursts 'Crusher' to more emotional numbers like 'Moving Day'; Laura Pleasants and company have crafted a fine balance here. The band we all know if in full force on 'Lost and Confused' with Phil Cope and Plesants shifting back and forth on vocal duties and the excellent riff sections that permeate the in between are superb. Progressive metal stalwarts, Intronaut have put out a wonderfully heavy and jazz oriented and all around stellar piece of music. Joe Lester's bass work is reminiscent of that of late Yes bassist Chris Squire as he blows through technical sections that while complex are just a great complement to the rest of the band as a collective. Sacha Dunable and crew continue to evolve and The Direction is no exception; a finely crafted piece of music by veterans of the progressive metal scene. Birmingham's Sarpanitum surprised me this year as I was absolutely blindsided by intensity of this mythology influenced beast. Certainly bands like Nile come to mind whenever you mention Egypt or areas geographically near there but leave it to these Brits to blast through these songs with technical aplomb. Whether it be the power of 'By Virtuous Reclamation' or the beautiful Nile meets Dying Fetus on 'I Defy For I Am Free' or the stunning transitional track 'Homeland'; these guys are just getting things started career wise and it only looks like they'll continue to pummel along the way. 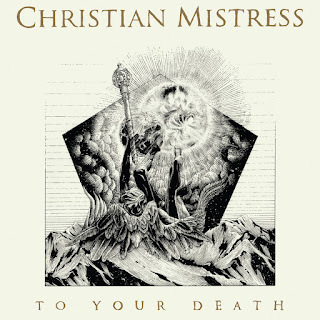 Christian Mistress continue their trend of fine hard rock/heavy metal with Christine Davis' vocals blaring like a siren behind a wall of exceptional guitar work that hearkens back to the days of yore; when metal was merely an offshoot of rock and they lines between the two were very blurred. You feel as though you'd be riding down the highway on a motorcycle or in a muscle car, blazing a trail all your own. Harmonics are thrown in for good measure to show some range and the band's sound continues to appeal to both fans of old and new. Keep up the great work Christian Mistress and we'll keep listening. Being exceptionally late to their debut LP Suspended In The Brume of Eos, I found it to be a wonderfully medieval affair chock full of a unique style of guitar playing and a sense of riding into battle clad in armor. Move forward 4 years and Aria of Vernal Tombs picks up right where Brume left off; it is chock full of aural imagery and soundscapes that you'll just get lost in the sheer atmosphere of this record. 'Pools of Vernal Paradise' is most certainly an auditory experience for someone who has found a mythical fountain complete with water effects. 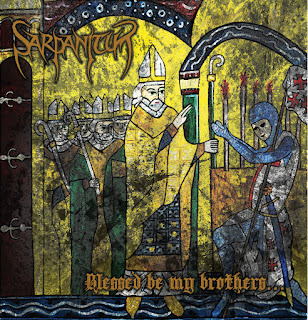 The black metal sensibilities make themselves felt, but to pigeonhole this album as merely black metal would be selling it extremely short. Beautiful melodies fade in and out of this album much like a dance floor chock full of royalty; Tanner Anderson is a one man wrecking crew, seemingly only second to Austin Lunn. Obsequiae is for those who appreciate the beauty of things that are extreme. When Johanna Sadonis left wonderful rock collective The Omen , a collective sadness was felt by those who had enjoyed the band's sole output. Luckily Sadonis' penchant for hard work led her to work with Gaz Jennings (ex-Cathedral) whose penchant for working with talented female vocalists was showcased last year for his work with Death Penalty. Jennings has always been an under appreciated part of his bands' sounds and here he melds expertly with Sadonis' high flying vocal display. One of my highlights of the year had to be seeing them live and this material is absolutely electric live. Special thanks to their tour manager (John Perez of Solitude Aeturnus) for allowing me to experience the show. 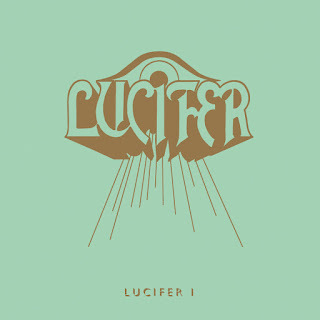 Lucifer will continue to carry the torch for what should be an excellent vehicle for 2 amazing musicians. Poland's black metal outfit Mgla have taken the metal world by storm here in 2015, with the best black metal album the year has to offer. What feels like 6 pieces to a puzzle as opposed to an album Exercises In Futility tremolo picks its way into the hearts of extreme metal fans with the kind of unadulterated melody that you expect from Windir. 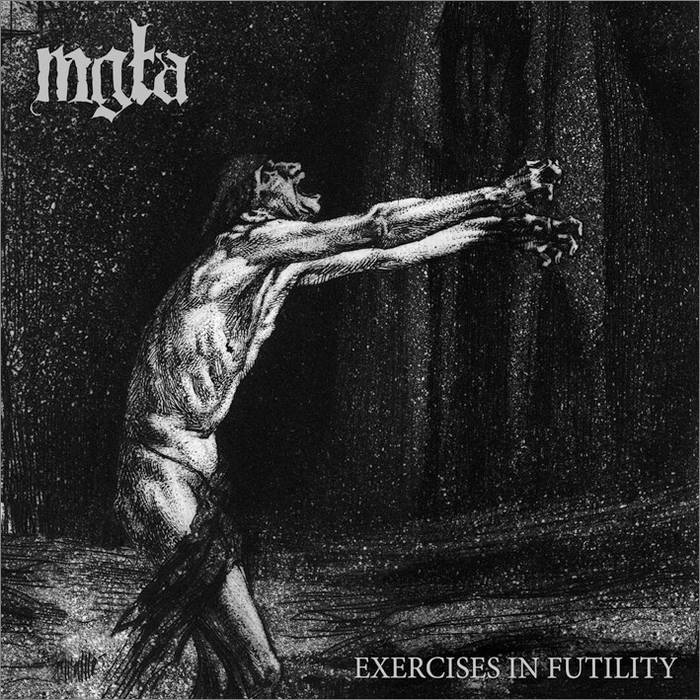 With no apologies from the band for having such a wide appeal to even music fans with a cursory interest in the genre; Mgla have successfully dodged the "not kvlt enough" bullet from long time fans. They have only amassed a larger following for future endeavors; hopefully there is much for this band on the horizon. A band that has undergone a huge transformation in 2015 is Sweden's Tribulation. Gone are the days of death metal and in are a more extreme progressive metal that is nearly a rock and roll album. 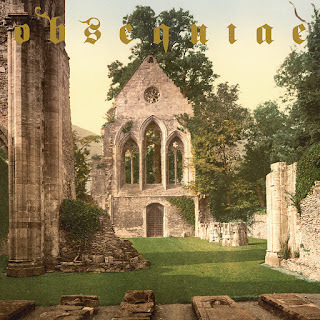 This feels like the album Opeth should have followed Watershed with; an album that would effectively bridge the gap between that and Enslaved's Vertebrae. 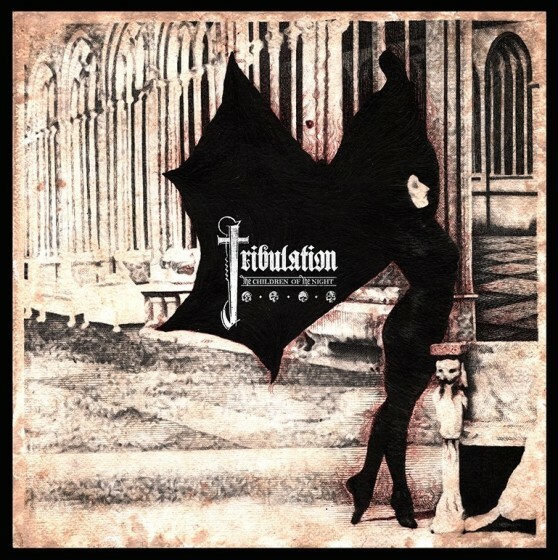 Not being a big fan of Tribulation's prior work I found this album instantly enjoyable and with tracks like 'The Motherhood of God' you see the band unlock its full potential. A real nod to this album's greatness was a spot on the upcoming Decibel Magazine tour in 2016. I expect you all to be there! 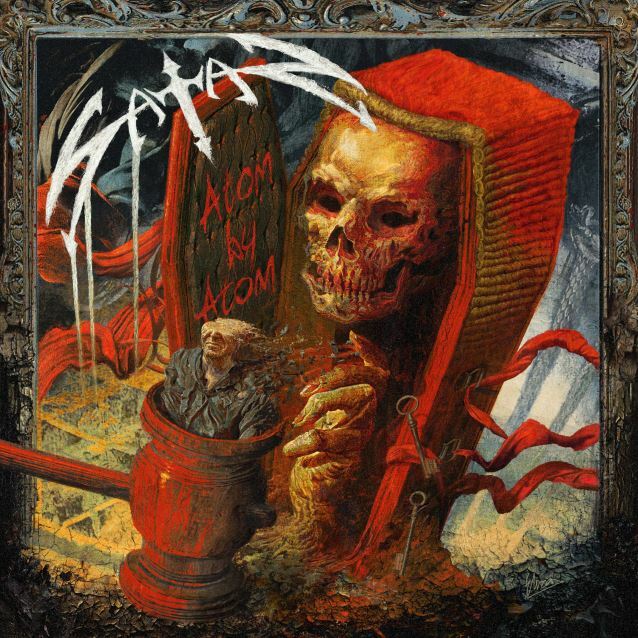 Satan continue to fly the flag of the original scene of NWOBHM and continue with their original members. 2013's Life Sentence blew the doors off my expectation level for a new Satan album 30 years after their classic Court In The Act and the fact that they came right back 2 years later with the powerful Atom By Atom is remarkable in that the band has become full rejuvenated by the new metal scene, complete with an appearance at next year's Maryland Deathfest. 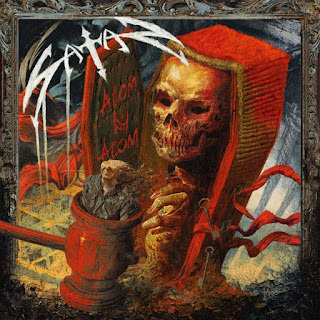 Atom By Atom might lack the sheer catchiness of its predecessor but is a great reminder of where heavy metal was and where it is going. The old guard are coming back to show bands what they think and can still do, even though they could easily be the parents of most the bands who cannot write music nearly this good. For a band that writes a lot of social injustice, they certainly went about to right their wrongs in a quick manner with this new album. Consider it community service done right. 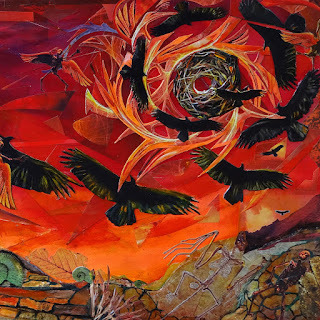 The 3 album run by Austin Lunn's black/folk metal project, Panopticon is nearly without equal. 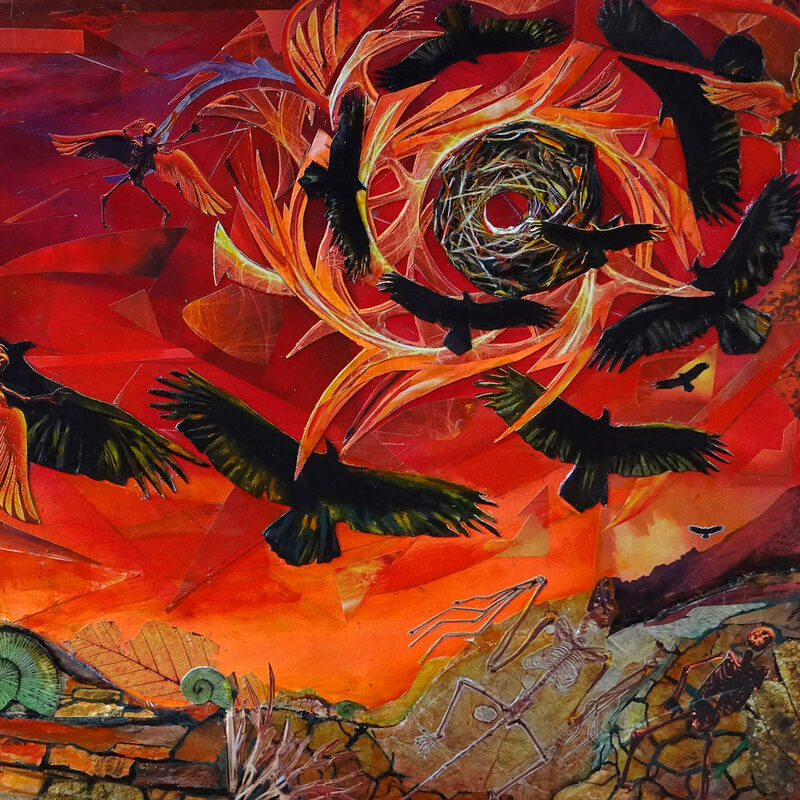 Kentucky, Roads to the North, and now with Autumn Eternal, Lunn has masterfully crafted album after album of soaring, emotive, and downright beautiful music. It is tough for me as a listener to grasp the idea that again Lunn did just about all of this himself and only needed production work and a few session musicians to help round out this album. This album is surely massive and one that showcases the wonderful range of Panopticon. It wouldn't be a Panopticon album without strings and on album opener 'Tamrack's Gold Returns' you get just that; a great transition for the speed and emotion that this albums opens right thereafter. Blazing through sections of thoroughly progressive metal, then black metal, then folk with traditional instrumentation is the kind of variety you've come to expect from Lunn. It is what makes 'Into The Woods' and 'Pale Ghosts' among other tracks so memorable. Add Autumn Eternal to the lexicon of great Panopticon albums; they'll surely be more to follow. 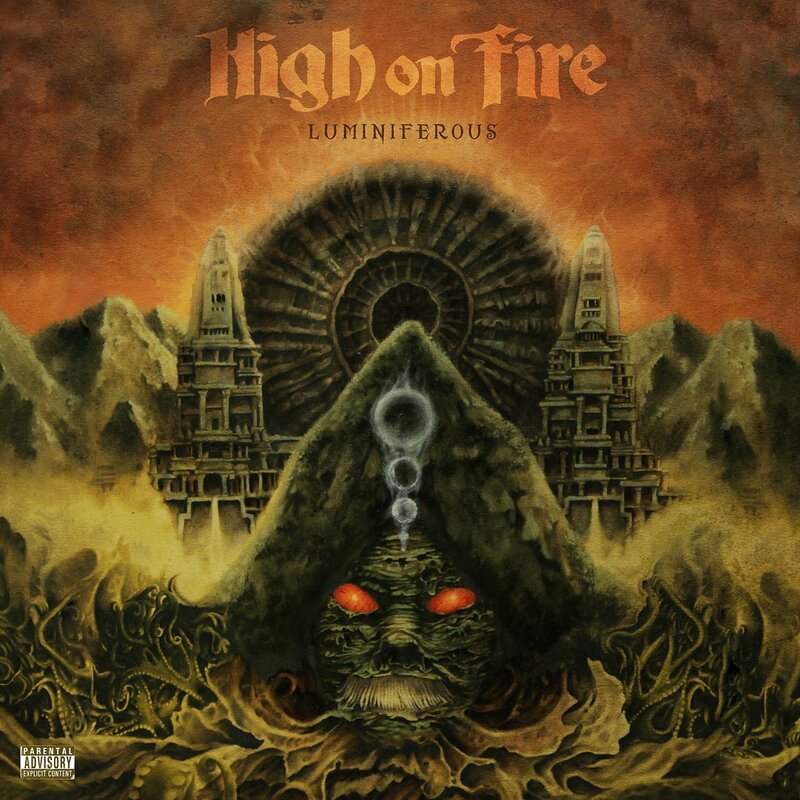 Matt Pike has been a talented guitarist since his days with Sleep and that success has continued over to the band formed from its ashes; High on Fire. 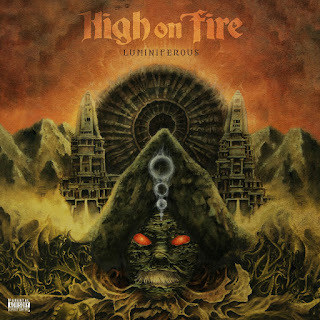 It's hard to believe that Luminiferous is album #7 for the band that just seems to get better with age. 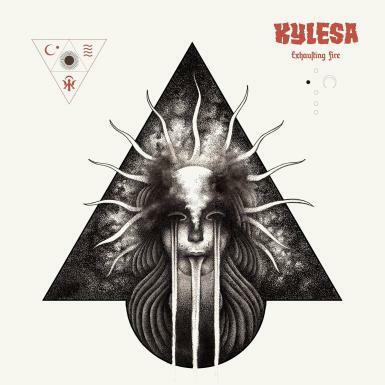 This album is a stoner/doom tour de force; Pike's guitar work is masterful and the supporting cast, especially drummer Des Kensel, help to pace the songs when they otherwise might have seemed too long. The band is at its best when they are driving through Pike's best riffs, which may well be his best to date; 'The Black Pot' and the incomparable 'Dark Side of the Compass' (during which I nearly broke my neck during the Luminiferous tour) don't have to be the fastest songs that HoF have ever written but they are expertly crafted and the guitar solos that fill the songs are absolutely stellar. Kudas to Pike for getting clean and getting his act together since this was admittedly his first album "sober." Hopefully this is the start of more like this for the band. Luminiferous is just wonderful. 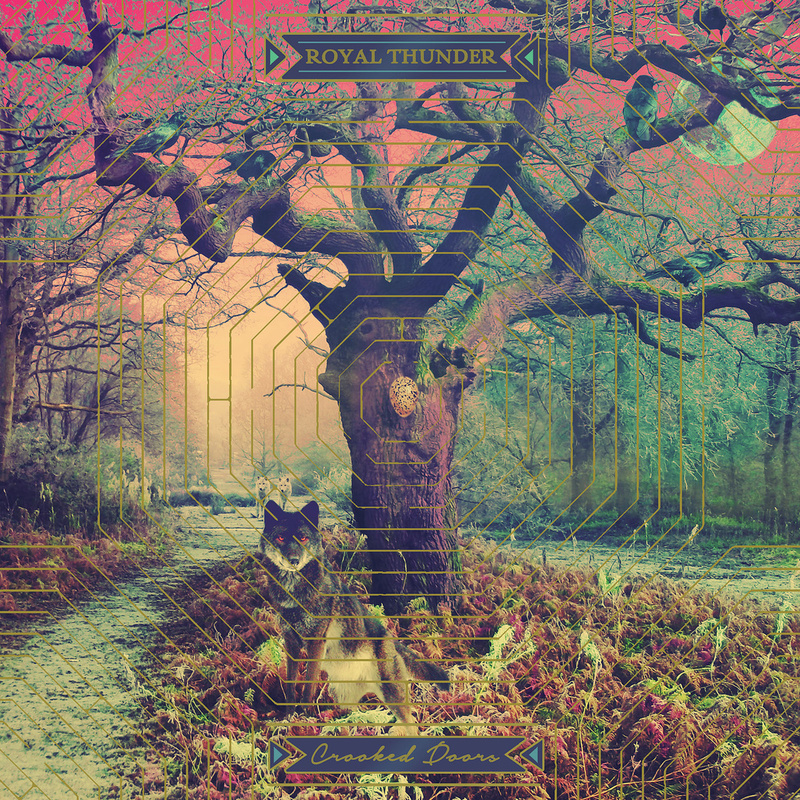 Royal Thunder burst onto the scene a few years back with CVI and it showcased the multi-talented Miny Parsonz whose vocal range is only matched by Josh Weaver's great guitar work. It felt, at times that CVI was an enjoyable if not tedious listen on repeat; Crooked Doors does not suffer from any of that. Tales of Parsonz and Weaver escaping from a cult serving as the plot to this album show off musically how lost they were; it is an emotional journey. As far as an emotional display the best example of which has to be 'Forgive Me, Karma'. It is a song that I have attached quite personally to my own journey into parenthood and how I would stop at nothing to care for my family. Parsonz and Weaver left that environment due to their mutual care for one another and are able to speak about their experiences through song. Rock with a heart and a beautiful and stirring one at that. The career trajectory of Horrendous is one of a band with humble beginnings and then of exponential growth. Anareta is the culmination of all of the things that Horrendous have ever done and it is an ode to past and present. The death metal band covers many bases such as furthering upon the success of Ecdysis and more or less bringing their sound to 1991 levels. Whether it be the massive pummeling of 'The Nihilist' or the stellar musicianship of bridge track 'Siderea' or 'Ozymandias' this album is clearly the cream of the death metal crop in 2015. It is accessible to all fans of metal and is so wonderfully well written that you'd be angry at yourself for not having found it earlier in the year. 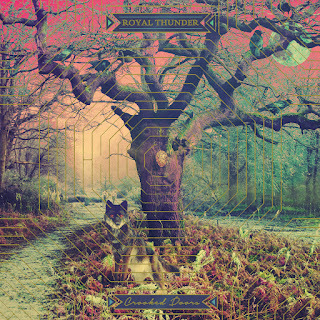 While it is certainly more Symbolic than Human it shows the constant evolution of a band within one genre without having to drastically change their sound. 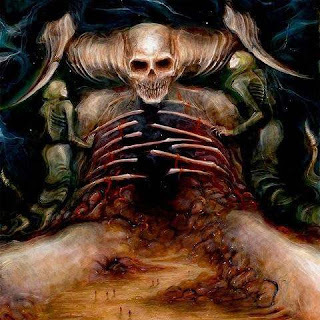 Horrendous has never been more beautiful. With all of the good and great albums of the year in 2015, my love affair with Out of the Garden started back in late 2014 via Dark Descent's Facebook page when the artwork was officially revealed. The instant reaction to such a grandiose piece of art was that, this has to be Epic Doom Metal. Surely it was an in the vein of Candlemass, especially indicative of the period of Nightfall and Ancient Dreams. All of this is without even listening to any of the music. Lo and behold when I finally got a taste of the album it was love at first listen, Brooks Wilson is a great combination of Messiah Marcolin and Ronnie James Dio, the wonderful Steve Jansson is a riffmaster unto his own and the rest of the band complement this main duo quite well. 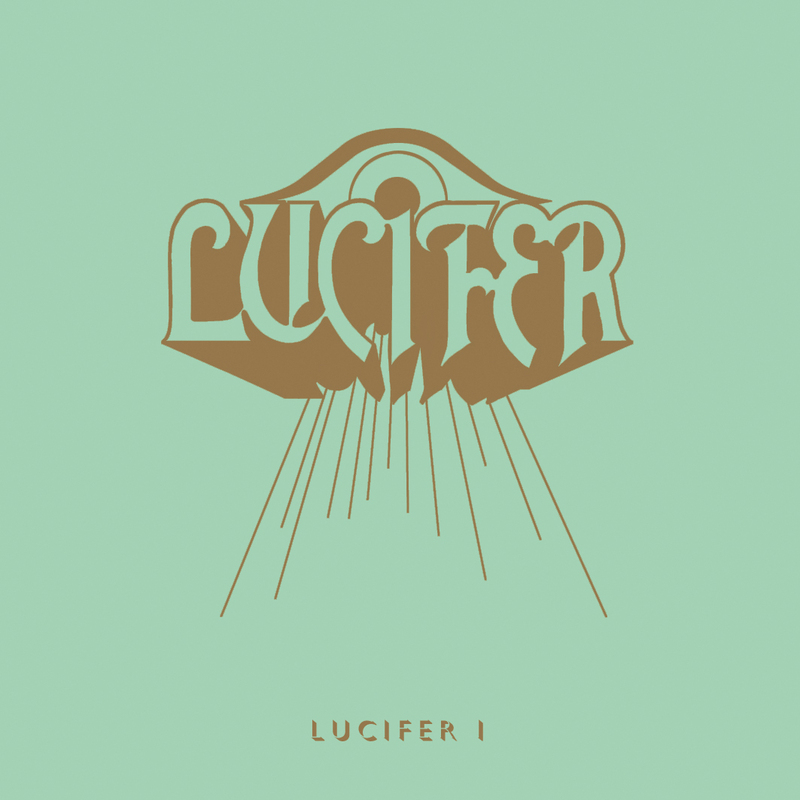 With plenty of heavy riffing sections that do not stray down the path of the countless amount of stoner doom bands, this is doom metal pure and simple; albeit with soaring vocals and guitar solos. Crypt Sermon are only starting out as a collective, and I know they are hard at work on their next material. It is truly amazing that a band that wanted to so very much pay respect to the bands of the past; has become such a beast unto itself. They can only continue to strive from here since in the band's own words they are "only just starting out" writing these kinds of songs. My sincere thanks to Steve and also Enrique for all of the entertainment they have provided me during the course of the year. 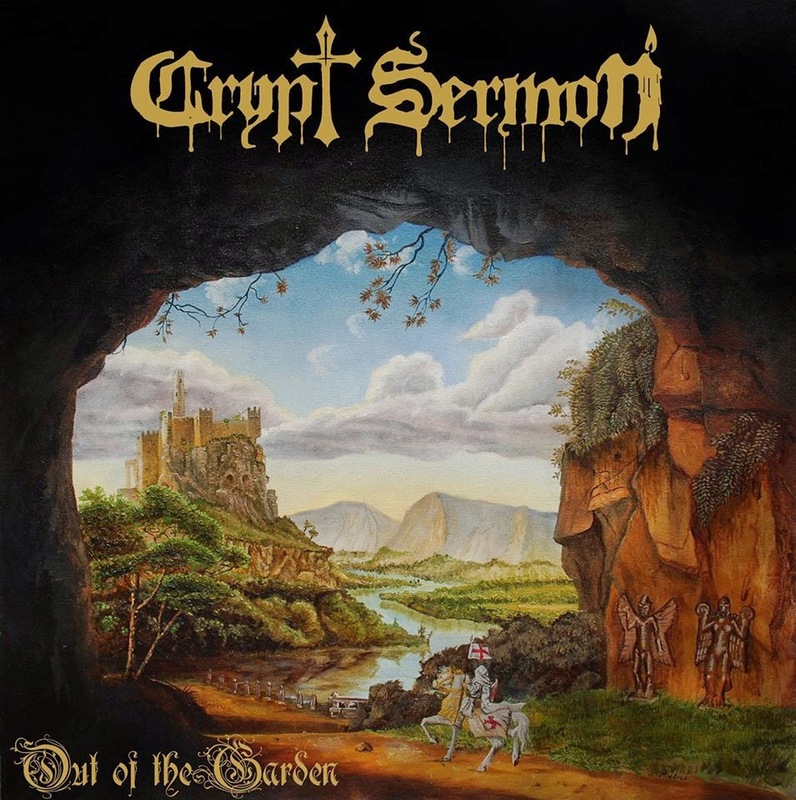 Kudos and congratulations to Crypt Sermon for being the complete package here in 2015. Well that does it. Again what did I miss? Why am I wrong? Why is my list the best? Leave your comments down below.